Lava is going to launch an Android 4.2 Jelly Bean powered tablet in May. The device will have a dual-core processor and be priced under Rs. 10,000. Lava has released an official statement, which says that the company will launch a tablet in the sub-Rs. 10k price point. The tablet will run on Android 4.2 Jelly Bean. Up till now we have seen budget tablets and smartphones launch with Android 4.1 with the promise of a 4.2 update, but few have seen the light of day. The new Lava tablet will be a part of their E-Tab family and boast of a 1.5-GHz dual-core processor, 1GB of RAM along with 8GB built-in storage expandable up to 32GB via a microSD card. It will sport a 7-inch display. The rear of the device houses a 2MP camera and the front has a VGA video-calling camera. In terms of connectivity, the tablets offer Wi-Fi only. There is no SIM card support. The tablet also supports HDMI out. A 3,700mAh battery powers the new tablet. Lava claims that this is the first budget tablet to launch that boasts of Android 4.2 Jelly Bean straight out of the box. 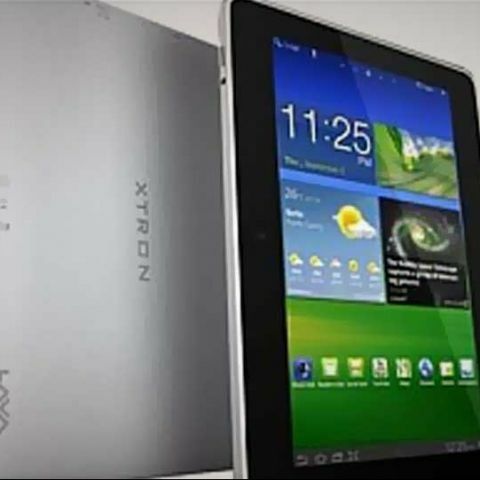 Recently Lava launched a budget tablet, the E-Tab Xtron that was quite an impressive device. The tablet has a vibrant display, smooth touchscreen and a good build. To maintain the price tag of Rs. 6,499 the tablet compromises on Bluetooth, can be laggy at times and takes too long to charge. It has a 7-inch IPS display with a 1024x600 resolution, 1.5GHz dual-core processor, 1GB RAM, 8GB built-in storage expandable up to 32GB via a micro SD card, 2MP front camera, Wi-Fi, Android 4.1 and a 3500mAh battery. If you are in the market to pick up a tablet in the sub-Rs. 10k price point, you can take a look at the Asus Memo Pad, Samsung Galaxy Tab 2 P311, Acer Iconia B1, Karbonn Smart Tab 10 and many more. Want to buy a tablet with budget 15-16k max.